While you may not be able to see them, pollutants like allergens, dust, bacteria, and mold spores can affect your indoor air quality and respiratory health. Investing in a few house plants will keep the air cleaner and safer to breathe—and they will make your home look beautiful. The team at Dundee Nursery of Hutchison and Plymouth, MN, will help you choose the right plants to purify the air and help you breathe easy. Spider Plants: Spider plants are ideal for beginners, as they are easy to care for, grow quickly, and can subsist on indirect light. This species can remove the majority of environmental contaminants within 48 hours, including allergens, mold, and chemicals like xylene, which is found in some paint products. 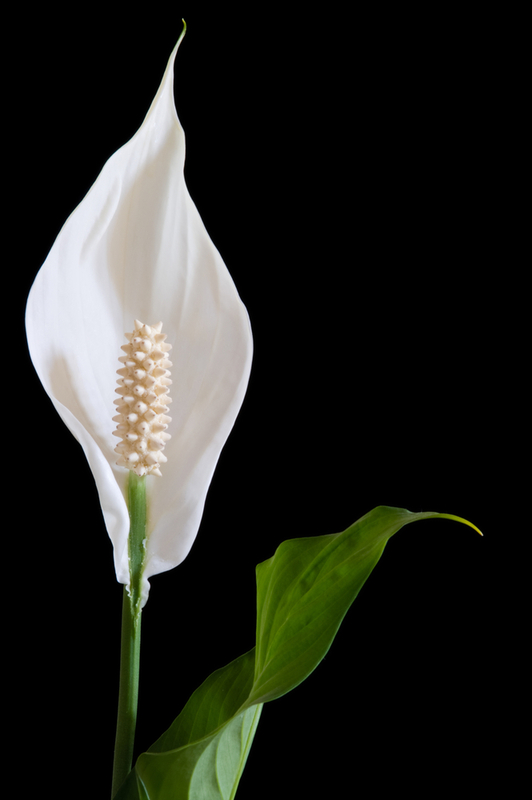 Peace Lilies: These unique flowers bloom indoors and are an elegant way to improve indoor air quality. Not only can this plant remove common household contaminants like volatile organic compounds (VOCs) and acetone fumes, but it also uses mold spores as a food source and can help keep tiled areas like the kitchen and bathroom mildew-free. These delicate blossoms should be kept out of direct sun, as the leaves can burn. Boston Fern: If you prefer leafy greens over flowers, Boston ferns may be the best choice for improving your indoor air quality. Compared to other house plants, Boston ferns are the most effective at removing formaldehyde that may be found in certain furniture cleaning products. This variety also humidifies dry, uncomfortable spaces. The fern requires consistent watering and must be kept in direct sunlight to flourish. If you’re not sure which plants are right for your home, then let the experts at Dundee Nursery guide you to the ideal varieties for each room. Whether you need lush ferns for a living room that is sunny most of the day or a potted lily to improve the air quality in a shaded bedroom, you can count on these professionals to help you care for your new indoor plants. To learn more about the current selection at this garden center and nursery, visit their website or call (763) 559-4004.